Are these meant to be like potato crisps? I’m wondering if they could be baked in the oven? Or would it be too hard to control the cooking that way? Just great, simple cooking; thanks. Simple and delicious. Thanks for the recipe. A healthier version of chips is always welcome. yummo, a sprinkle of paprika would be delish too! Yum, yes I would do this too! Me too ! Always up for a bit of spice ! these would be great to be served with a steak! 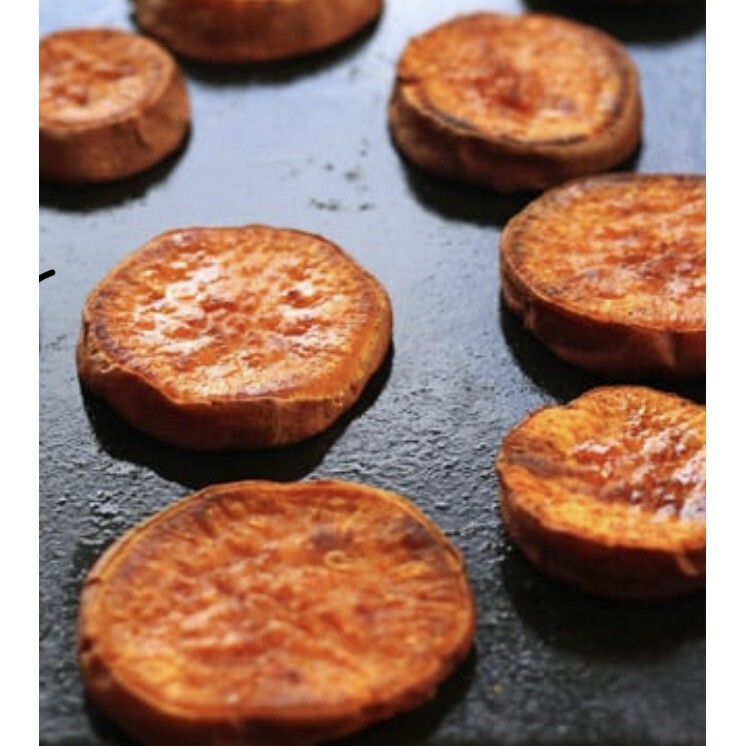 Sweet potato is also delicious baked with a roast. It is similar in texture to Jap or Kent pumpkin. Great idea to fry them in coconut oil! A great side dish to meat or chicken! Thanks! Sweet potatoes are such a yummy and good snack food. Cooked simply they hit the spot! Good idea to fry sweet potato in the coconut oil too! Yummy might try in the oven to cook more as we love sweet potatoes here.